A number of slogan postmarks were in use while we were away, and I've now found time to list and illustrate most of them here. There have been two non-Christmas slogans used during the Christmas campaign period which is most unusual and hides another story - more later. Reserves Day Was used on 7 September for delivery on 8 September. Peterborough has the iLSM machine with layout on two lines. The IMP machines had the slogan in 4 lines, with the date shown as '08 Septermber'. There is a difference, however. The iLSM has the exclamation mark (!) after 'Week', and the IMP have it after 'smile' ! The week ran from 26 September - 3 October but I don't know yet what period the postmark was in use. UPDATE: National Poetry Day (Thursday 6 October 2016) was marked with a slogan used on 5 October. Thanks to MG for supplying this image from Dorset & SW Hants. Website. I have only one example used on 25 September, from the Norwich iLSM. 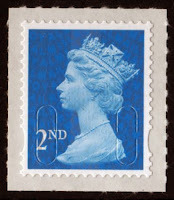 At the beginning of November Royal Mail marked the 80th anniversary of television. The iLSM at Dorset and S.W.Hants had this on 1 November: I don't know the full period of use as it was not the subject of a Royal Mail press release. #GivingTuesday is the day to do good stuff for charity, straight after Black Friday and Cyber Monday - so says their website. For this one I have both IMP and iLSM versions, the later coming in two sizes on similar-sized envelopes. The IMP has the date abbrevaited to 29 Nov 16 for some reason: there is plenty of room for the same format as the iLSM. And so in the middle of November we start the Christmas campaign, with the Post Early slogan, which used two quite different holly-adorned slogan layouts on the different machines, with different sizes in use at Exeter. The actual surrender was at Berkhamsted in early December 1066, so a slogan was suggested for this December, but the response was that no other slogans could be used during the Christmas campaign - absolutely not! So..... on 6 December the NHS Blood and Transplant campaign was the subject of a further slogan! I don't know the period this was running - surprise, surprise, no RM press release again. Quite accidentally I found an article about this campaign in get Surrey. "A mother who campaigned for organ donation awareness to feature on postmarks on envelopes across the UK was thrilled to see her suggestion become reality." 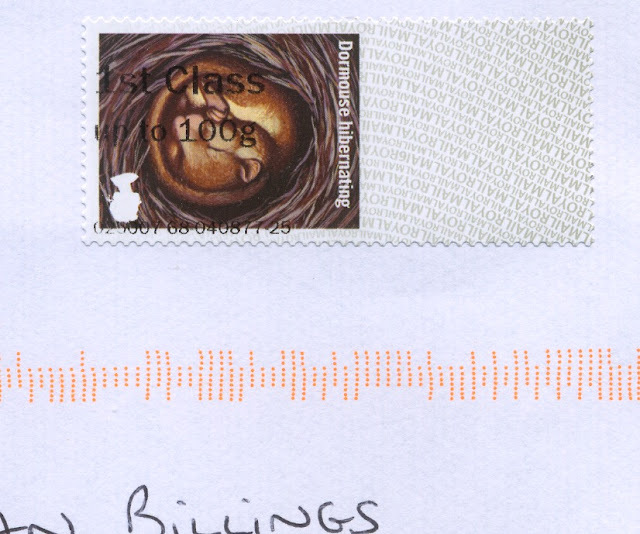 She wrote to Royal Mail in 2014 and heard nothing but was surprised to find 'her' postmark on a letter or her doormat. Note this last also has the wavy line handstamp struck for some reason, as if 11 wavy lines weren't enough! with the IMP abbreviating the month to Dec. This may give rise to a further change tomorrow when the Second class date has passed - watch this space, and your post! At least two offices have reverted to the Royal Mail 500 slogan on mail received today, according to reports. Royal Mail's Philatelic Bulletin has now confirmed that the 2017 programme will be revealed in its January issue - as my December issue has only just arrived this may be between any time between January 1 - 31! Details of the first issue have already been published, and as soon as I have time I will produce a set of pages on our website with the usual details. Meanwhile here is an outline of what we know. However, if you think that is bad, be thankful that you don't collect the stamps of the British Virgin Islands. 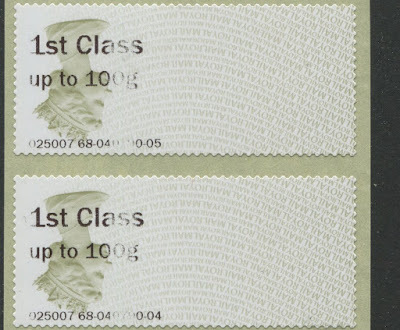 Their similar commemoration consists of two stamps priced at $10 and $90. If those dollars traded at 20 to the pound it would as 'reasonable' as the British issue. 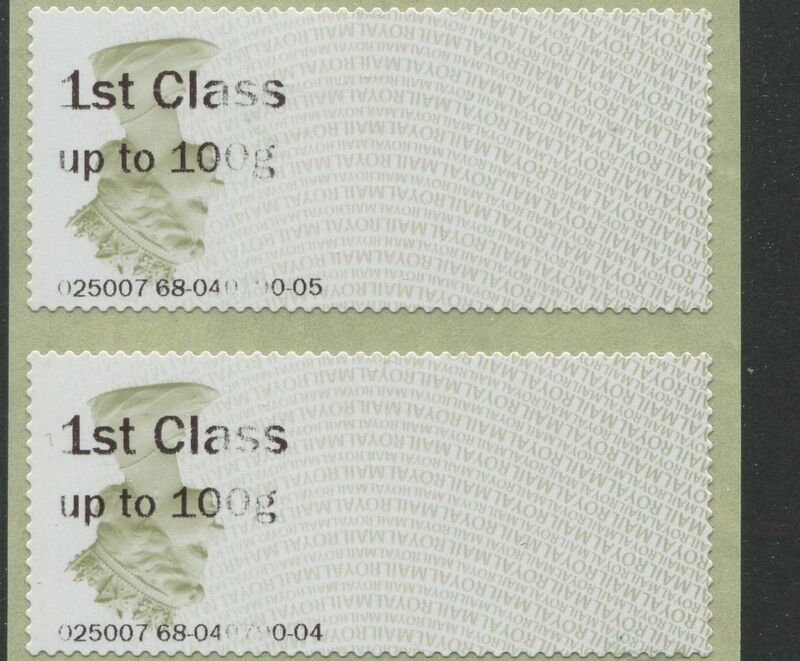 But the BVI stamps are priced in United States dollars - making this set one of the most expensive and least justifiable ever at pennies under £80 or €95 - see, there's always somebody worse off than you! 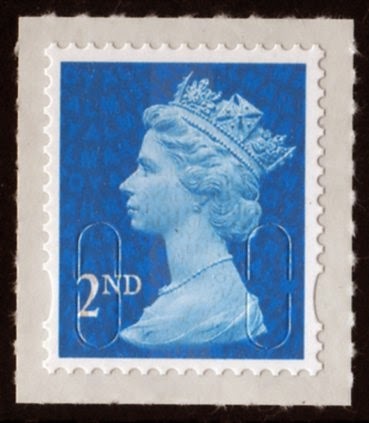 More on this on the very useful Commonwealth Stamps Opinion. We showed and described these stamps earlier when the Postal Museum announced their version. Battle of the Somme overprint. I checked the printing and all seemed fine. It was not until Monday that I was able to sort out my purchases but on so doing I became confused as to what I was looking at. Clearly, I had made a mistake and bought two of one item and none of another. Indeed, an error had been made on my part, brought about by my not having my wits about me. I had not, as I thought, made the wrong purchases but I hadn't spotted - until Monday morning, that is - that the Jersey Machine had issued a Guernsey Strip but with the Jersey datastring. Had I been more alert, of course, I would have bought a few and then informed the Staff of the wrong roll in the machine. But I wasn't so I didn't. But I shall be more alert in future. I have, from time to time, looked on ebay to see if anyone is selling these Errors but either they aren't or I've missed them. The moral of the story - if I needed to remind you - is to look closely at everything you buy, as soon as you can. Had our reporter bought more he could have sold them on eBay or to me for our regular customers, and could have paid for his trip from Yorkshire to London several times over!